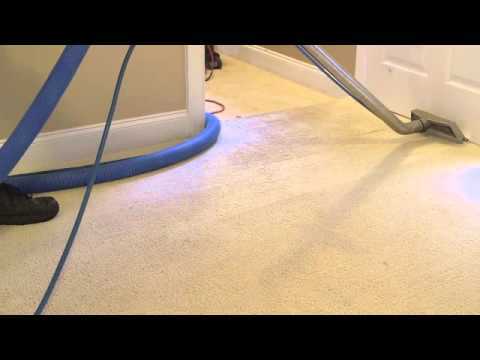 The role of carpet protectors is to resist staining from both water-based and oil-based spills. As importantly, carpet protectors also resist the damaging, sandpaper-like effect of dry soils, which cause the deterioration of carpet appearance and often result in premature replacement. GOLDEN GLOVE offers a variety of carpet protectors depending upon the type of carpet, types of soiling conditions and the commercial environment. Many commercial carpets have no protection at all and application of a high quality protector can maintain appearance and protect the substantial investment in carpet as a floor covering. Spills will be easier to remove without becoming difficult (or impossible) to remove stains, vacuuming will be far more efficient and the overall appearance of your facility will be maintained and enhanced. Our technicians can clean the toughest of pet and odor stains too. In addition, carpets will be much easier to care for and will return to high appearance levels after cleaning. GOLDEN GLOVE also offers several protectors designed specifically for upholstery fabrics that offer the same benefits specific to upholstery soils.